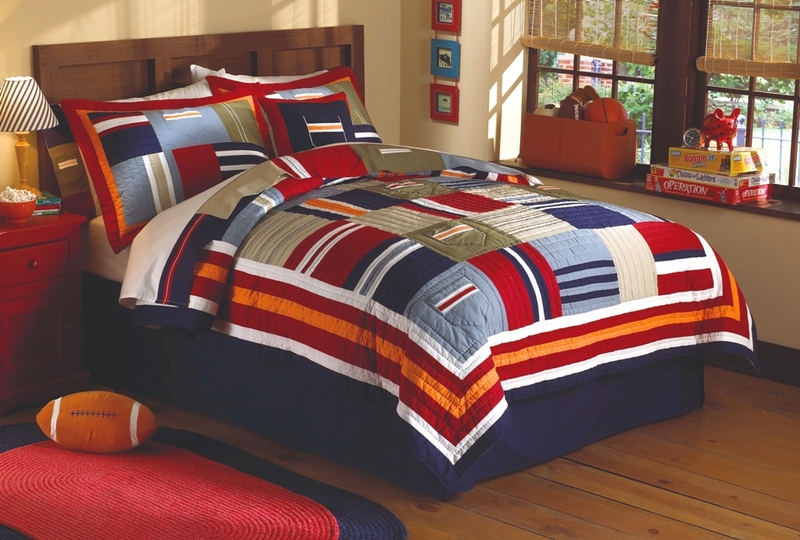 A traditional hand-pieced cotton quilt with an untraditional design, specially crafted to complement a boy�s room. All his favorite colors are here, plus sporty stripes, so it will go with everything else he loves. Striped design is perfect for adding flair to your room. 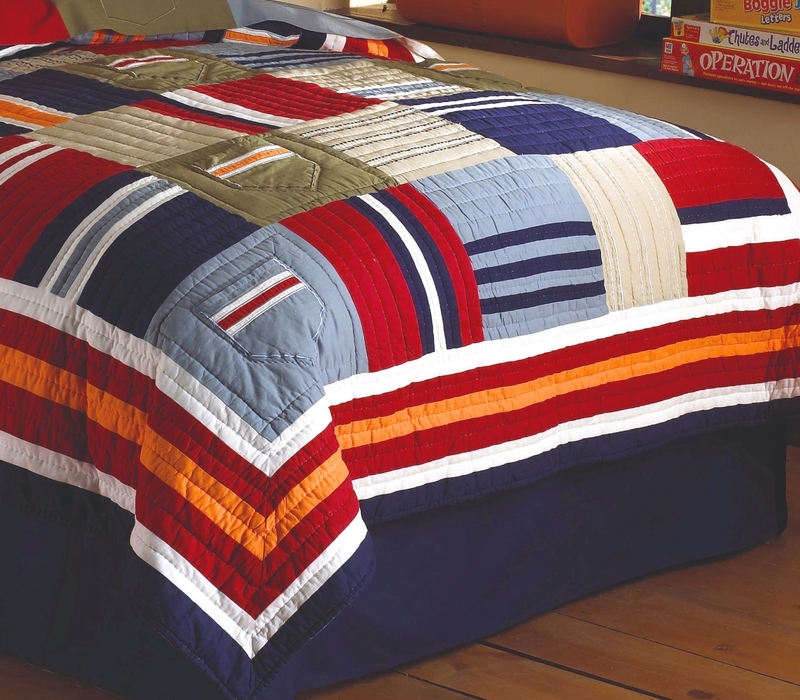 Quilt features large collegiate-style pockets and striped squares in navy & dusty blue, tangerine orange, olive green, brick red, khaki tan, and crisp white. Reverses to a solid khaki color. 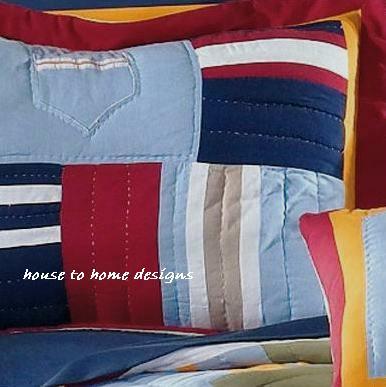 Quilt set includes quilt and two standard shams (one sham included in twin set). Twin measures 68 x 86 in. Full/Queen measures 86 x 86 in.